T.G.I. Friday's of Kentwood will showcase its bartenders' skills in support of Feeding America West Michigan. On Tuesday, March 11, T.G.I. Friday’s of Kentwood is hosting a flair bartending competition where mixologists will display their skills and auction off their creations along with a host of other prizes to benefit Feeding America West Michigan Food Bank. What is flair bartending? Think Tom Cruise in “Cocktail.” Better yet, check out the Flair Bartenders’ Association website, which serves as an informational hub for practitioners around the world. This is serious stuff. “Flair Night puts our bartenders in the spotlight and really allows them to demonstrate their skills,” said Christina Spencer, assistant general manager at T.G.I. Friday’s. Feeding America West Michigan has benefited from T.G.I. Fridays’ generosity before. In 2011, Grand Rapids’ downtown location raised enough money to send 2,300 meals to local families in need. 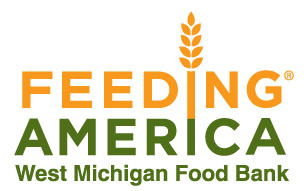 Feeding America West Michigan distributes food to more than 1,200 food pantries, soup kitchens and shelters in West Michigan and the Upper Peninsula. Last year the organization distributed 25.6 million pounds of food, more than at any other time in its 33-year history. Contrary to the popular narrative of economic recovery, the organization believes food insecurity may be on the rise in Michigan. “All the indicators we know of today point to an increased demand,” said Ken Estelle, CEO of Feeding America West Michigan. The 2014 Farm Bill, signed into law in East Lansing earlier this month, could make things harder for low-income people by cutting more than $8 billion from federal food assistance in the next decade, a decision which came on the heels of an $11 billion reduction to the program in November. That makes the support of local businesses like T.G.I. Friday’s all the more important, Estelle said. 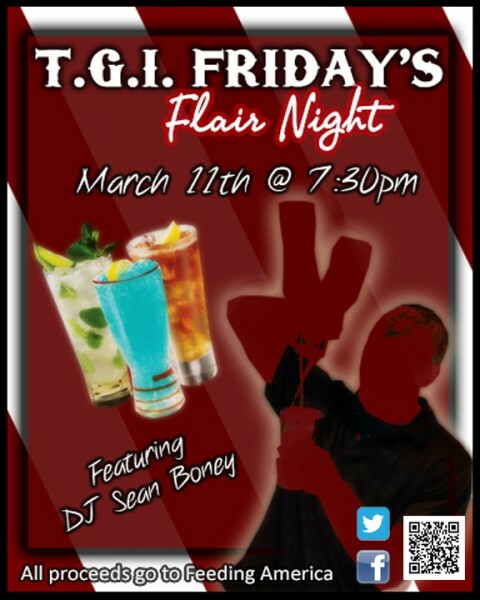 Flair Night begins at 7:30 p.m., and entry is free. Music will be provided by local DJ Sean Boney. T.G.I. Friday’s is located at 3345 28th Street SE in Kentwood, near Woodland Mall.